Dutch state-funded television show spoofs Israel’s winning song, prompting protest over anti-Semitic lyrics linking Jews and money. 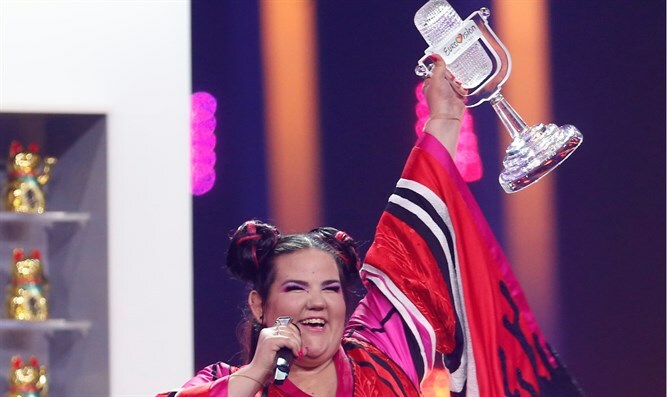 JTA - A Dutch state-funded television show spoofed Israel’s winning Eurovision song, prompting protest by critics who said the parody features anti-Semitic cliches about Jews and money. “We’re giving a party, are you coming? Soon at the Al Aqsa Mosque, it’s standing there empty anyway,” read the lyrics of the Dutch-language song parodying “Toy,” which the performer sang against films showing footage of Arab riots on the Gaza border. The mosque is a busy Muslim place of worship in Jerusalem.